"Amazing!" God is so amazing. I want to celebrate what He did through so many of YOU last weekend. If you attended last weekend, you would know that we took a special offering for our KidsWorld Children's Ministry to replace their carpet that is 15 years old and in terrible shape. We are also in need of a security door in a key area of KidsWorld for their protection. These are needs that have not been budgeted. As mentioned, we always talk about our kids and youth being our priority but as I also say when giving, "Our checkbook tells where our priorities are really at." That stands whether you are a family or our church family. Drumroll please... I want to thank all of those who spoke with your wallet last weekend and gave enough to reach our goal of $15,000 for the carpet and door! Our team is in the process of making that happen. As of Monday, we had $15,212 in hand to spend. As I mentioned, if there was more given, it would go towards two more doors that need more security features. If extra comes in then we will move forward on those. Praise God we met our immediate goals. That is amazing! I want to also commend our Oasis family for not allowing this special one-week offering to affect our regular giving of our tithes since that is key to continuing week-to-week ministry. You didn't. Our regular offerings were actually over budget last weekend. Thank you Oasis for living out your faith with your giving. We are leaving the link on our giving page through Sunday for those who still want to give to the special "Family Ministry/Kidsworld Offering". It will be taken down after Sunday. More celebration – Over the last 10 years South Florida has dealt with a major recession; the worst in my lifetime. There has been a long curve to recovery. Oasis is not immune to that since we are in South Florida. God has supplied and we have done what it takes to cut back and to trim as needed. For the first time in the last 10 years, I can report to you that after 6 months into our new Ministry Budget Year (September 1 begins our budget year), we are meeting our budget! Congrats to all of you Oasisers who have been tithing and giving to the Lord. You aren't giving to Oasis, we are only honored to be the local church conduit of God's offerings. 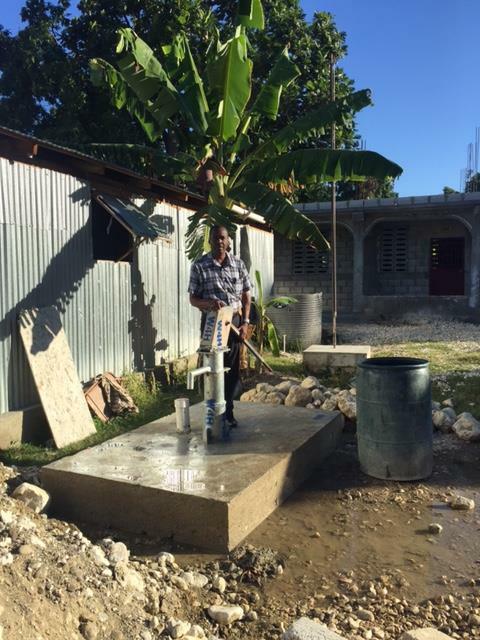 While our Bike for Haiti and Love Cities, Love Pastors offerings are down, (we will talk more about that in the near future) making it more of a challenge to meet our commitments, I want to celebrate that our "Ministry Budget" of tithes and offerings is 17% higher than last year and over our budget. Praise God and thanks to all of you. Not only has God blessed our giving, which allows us to do more ministry here in South Florida, but He continues to send us more people to minister to and to share His love with. Our attendance is up approximately 12% over last year too. That's more people coming to Christ, being baptized and having their lives and families changed for eternity. Praise be to God. ONLY GOD! 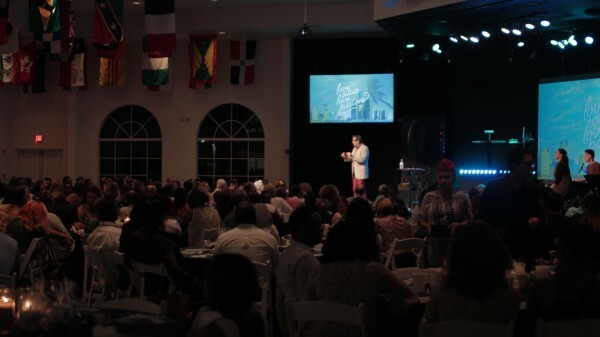 More praise – Along with our growth at our Pembroke Pines Campus, our Online Campus Worship is up 60% over last year. That is almost 2/3 more people worshiping with us online and hearing the gospel each week. We are excited knowing, in this day and age, the digital world is changing everything we do in our lives. I'm thankful Oasis can "BE A DROP" of love and hope, online each week. We are beginning to develop plans in order to minister better and to connect more personally with those worshiping with us online. Personally, I am working on beginning the FIRST ONLINE COMMUNITY GROUP at Oasis in the next month. This will be for men in their 20-30's. If you are a young adult man and would like to be a part of this first pilot community online please contact community@visitoasis.org and they'll give you the information. That's it for this week. Easter is coming! We have some good news about that this weekend and how you can invite your friends and neighbors. We also continue our series, "Promise Land". The first two messages can be watched HERE! P.S. Don't forget our Night of Worship and Prayer on Wednesday, March 20th. We'll be there from 6 pm - Midnight. You can come when you can and stay as long as you want. Our focus will be on prayer leading up to Easter. We want to saturate this Holy Week with prayer. P.S. You can give online here, 24/7. "The Promise Land – In the Steps of Jesus" begins this weekend. I am so excited about opening this new series. Part of my message was taped in the Holy Land last week and I think it will be incredibly inspirational and encouraging to hear how His work 2000 years ago on the hillsides of the Sea of Galilee still applies to us today. I look forward to seeing you this weekend. Easter at Oasis and our message "Rise" is just a month away. Our teams are preparing what I believe might be our greatest Easter yet. Easter is not just our week to celebrate the Lord's resurrection, but it is the MOST LIKELY week for 40% of un-churched people to attend church if they are invited. This year, our goal is to reach 4,000 people at Easter. With our attendance averaging 10%+ more than last year, it's very achievable since we had 3,500 last year. This is a day we look forward to inviting family and friends that won't come any other weekend. Please make sure you take the Easter invite cards and give them out to anyone you meet or have in your "sphere of influence". This will be a life-changing weekend. In order to have adequate parking, seating and KidsWorld space, we are asking as many of our regular Oasis'ers as possible to attend one of our Easter Services on Good Friday, Easter EVE Saturday or the additional service we are adding on Sunday. Here are the 7 opportunities to attend Easter weekend: Thursday, March 29 - 7P (ONE Student Service) Good Friday, March 30 - 7P* (Family Fun time after service) Saturday, March 31 - 6P (Family Fun time after service) Easter Sunday, April 1 - 9A, 10:15A*, 11:45A*, 1P and 3P En Español * Indicates NEW service time. I just have to share what an incredible season it's been not only in our Community Groups but especially in one of our newest groups. Financial Peace University is a 9-week course where families learn budgeting, money management and stewardship of the resources God has given us. This semester under the direction of our Stewardship Director, Mr. Rick Napier, along with a team of volunteers, we have seen the largest group ever attending. What I especially love is not only are men leading out but half of the class attendance is men. In a society where men seem to be absent in spiritual and family-life, God has blessed us with some of the most amazing men. I am blessed to see what God is doing in this area. If you would like to be part of our next FPU class just write it on your Connect Card this weekend or go online at www.VisitOasis.org/Community and get more info on our ongoing FPU classes. Discover Track starts tomorrow, Saturday March 4 and Sunday March 5. If you are new to Oasis or have never been through this very informative discussion of who we are, where we have been, what we believe and where we are headed, you are encouraged to be here. We've made it so easy for you, it's after any of our services this weekend! Check it out! Please remember that on Saturday, March 10 during our Saturday night worship, we will be voting on new Church Council members. Come out on Saturday night at 6pm to meet these men and women who have accepted the roles of leadership and servanthood. I have some other phenomenal news to share in our Missions area but I'll wait till next week since this letter has gotten to be so long. God bless you and I look forward to seeing you this weekend. Guy Melton Senior and Founding Pastor Oasis Church of South Florida PS. Along with our growth in attendance this year, we have also seen a growth in the discipleship growth of our Oasis'ers lives in stewardship. Our tithes and offerings are 10% higher this year than last in this first part of the year. I am thankful since our ministry in the community constantly increases and our outreach is greater than ever. Thanks to the many of you who give the Lord's tithes and your offerings through Oasis Church and for those who have begun to give back to the Lord this past year. It is because of you we are able to continue to impact lives for eternity. If you would prefer to give ONLINE instead of the envelope in the service you can give online 24/7 RIGHT HERE. IT TOOK ME ABOUT 1 MINUTE TODAY. Avoid the WRECK…how many times has someone alerted you to an accident in a location and helped you to avoid it so that you can change the direction you’re headed? With so many apps for traffic we get these frequently, if not from a friend, then from an app. We wrap up "Wreckage" this weekend. 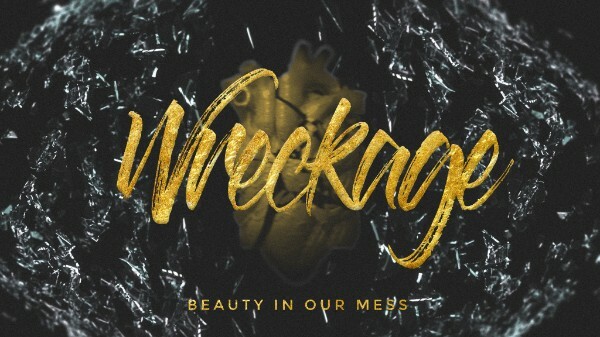 This series has been about helping us all avoid the "wreck." This weekend I’ll be wrapping up the series along with some of our Oasisers from various walks of family life, from single to married with children and a few more in between. Our goal is to help each other avoid the wrecks that can happen in our relationships and families. See you this weekend for this last week. Invite someone you have wanted to invite. It will be a VERY guest friendly discussion along with one of the most powerful passages in scripture from a passage most of us never read. "Well" they say that is a deep subject! Ha! Ok, cheesy I know. 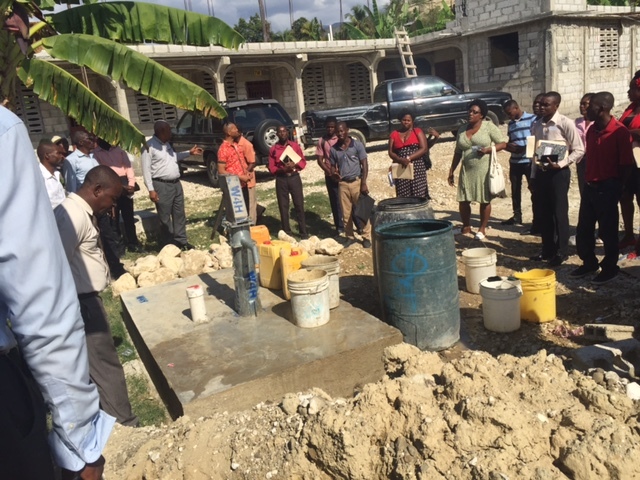 But Well is a big deal if you are in Haiti and you don’t have clean drinking water. Our Bike for Haiti Ministry, through a generous offering from one of our medical team who went last September to minister, was able to dig a new well on the property of our new school built through Bike for Haiti, which also helps with the seminary we underwrite and the school we support, along with a church we helped to start. This is no small thing. I am told some of the diseases the little children had when our medical team was there was simply because they did not have clean water. Because of your giving, not only do we underwrite a school of 250, but we have also built one of the buildings and sponsored a seminary. 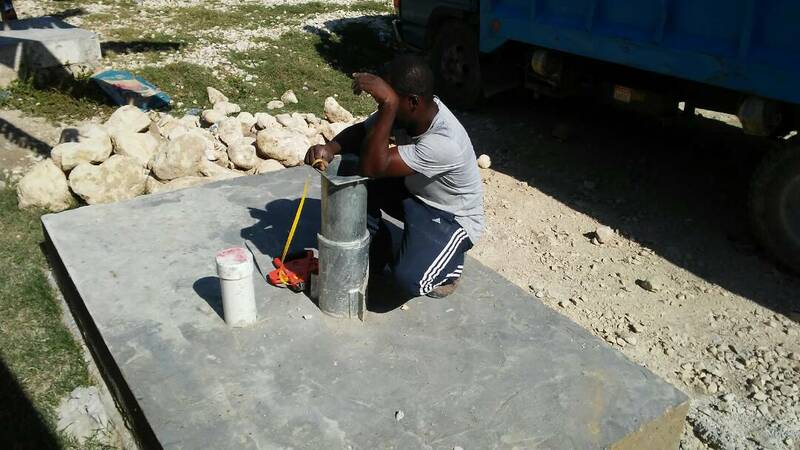 Now all those hundreds of Haitians in this ministry, along with the church on the property, have clean drinking water to drink. WOW! 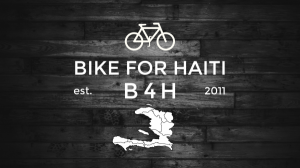 Oasis Church your giving through Bike for Haiti continues to make a dramatic impact in the lives of children and families Haiti. Thanks for your continued giving. If you have not fulfilled your B4H pledge from 2 years ago you can continue to give by going online to our giving page or bringing your gift on the weekend and using our envelopes. We have raised about a half of the $500,000 pledged two years ago. We will continue to sponsor the schools, churches, seminary, orphanage and feeding in Haiti as long as you continue to give. It really does depend on you. 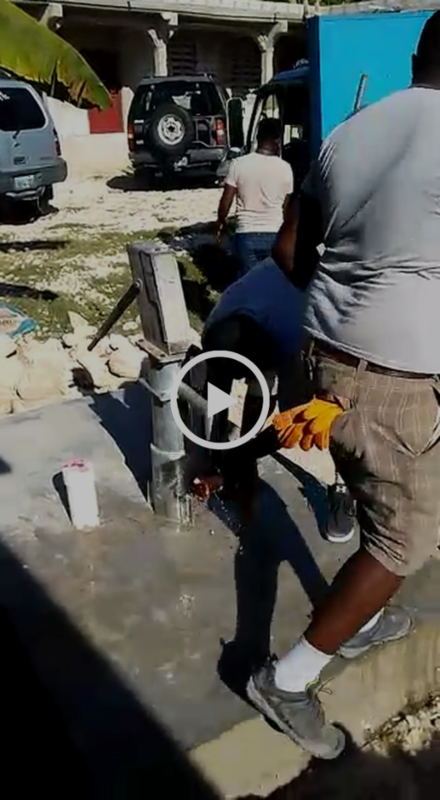 I'm so thankful for one of our Oasisers that saw a need medically and gave enough to drill a well that will enhance the health and lives of hundreds of Haitians living in that community where the school and church is located. Discover Track kicks off on Saturday March 4 and Sunday March 5. 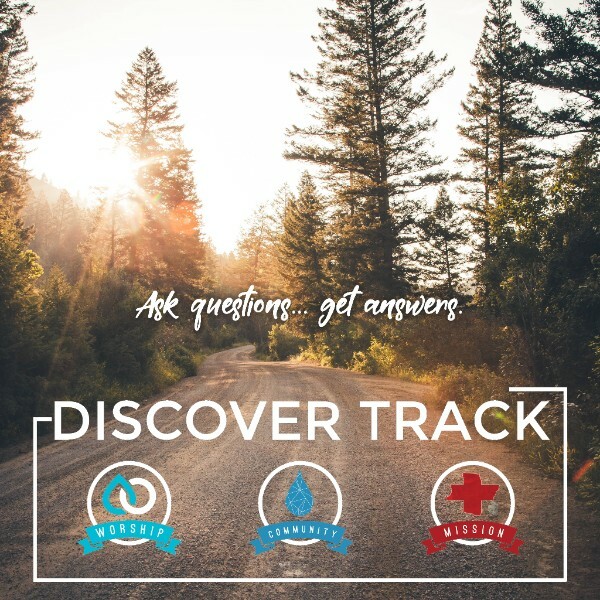 If you’d like to find out more about Oasis Church, who we are, and what we believe in then you need to be a part of our Discover Track. We've made it so easy for you, it's after any of our services that weekend! We hope to see you there! On Saturday March 10 during our Saturday night worship we will be voting on new Church Council members. I hope many of you will come out on Saturday night at 6pm to meet these men and women who have accepted the roles of leadership and servanthood. God bless you Oasis. I look forward to seeing you at one of our services this weekend. P.S. Please do not forget to give to the Lord His tithes and your offerings. The only way Oasis church can continue to touch what is now thousands each week here and around the world is through your generous giving. Tonia and I just gave our tithes, our missions and our Love Cities, Love Pastors offerings today after I received my pay check. Please join us. You can give by envelopes during the weekend or HERE ONLINE NOW, JUST CLICK HERE. IT TOOK ME ABOUT 1 MINUTE TODAY. Copyright © 2018 Oasis Church of South Florida, All rights reserved. You are receiving this email because you are a part of the Oasis family. In 26 Years as a church, this is a first! There are not many firsts anymore now that our church is 26 years old. I remember back when there were “firsts” of some major degree almost every month and year. But with growth and longevity, the “first time" for something significant doesn’t come along very often, but when they do, they are very special. This week has been a first! For the first time since we launched Oasis Church with our core of 11 adults in September of 1991, I believe Oasis Church has tasted what a true “revival” is. In recent years churches have called special meetings revivals where they bring in an Evangelist and some do this annually. But I’ve only truly seen one once in my lifetime – a moment in time when what I experienced was only God and no man, service or event. This week, I have seen “revival" for the second time. This time at Oasis Church. It wasn't scripted or choreographed with lights, fog machines, or some event but it came organically through the prayers of God’s people. As I shared with our staff this morning, we have seen God. He has come down and touched us in the last 36 hours – during our 24 Hour Prayer Vigil and ending with our Night of Worship and breaking of our fast with a full auditorium worshiping God together last night. I don't think revival can be fully explained or understood and I find it hard, even now, to share what God’s done in our midst to those who have not experienced it first hand. All I know is God has been here this week like I’ve never seen it. From the moment almost 300 different Oasis'ers came through the Prayer War Room set up Tuesday night in our Community Cafe, the reaction was the same, "God is here,” the presence of God is so strong here. He was and is. Most of us have struggled to even explain what’s happened and that is how it was in the Bible when God touched people and revival came. It wasn’t something that could be explained in human words. You just know you’ve been with the Lord and He has changed you. Even as I type, I have to keep stopping and erasing because I just can’t explain what we have witnessed these last 36 hours. I just long to experience it again and again. Revival comes when God’s people humble themselves, pray and seek His face. That is what we have done this week and He has brought revival in our hearts and souls. Hundreds of prayer requests have been saturated with prayer and we will see God’s answers for years to come. Chains have and will be broken. I would like to end this email with a few testimonies people have shared with me. Since I have not asked permission I’ll leave their names off but these represent a few of what hundreds have felt this week. If you were here, you understand. 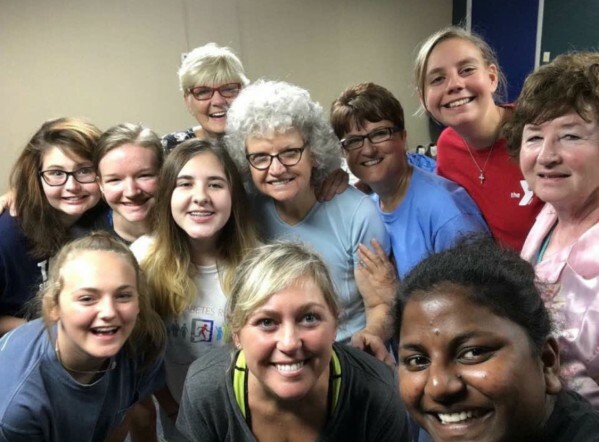 “… I prayed with her on Tuesday night she told me it was her second time here and that she used to go to church but somehow she got lost... She was here praying with her Grandma.” Long Time Member. NOTE: This girl in this note brought her whole family to "Night of Worship" last night. Her brother got saved last night! AND THE COMMENTS JUST KEEP GOING ON AND ON! P.S. There were also 64 new Prayer Partners who signed up to be my partners each week in praying over our services and those on our Prayer Digest. If you would like to join us, just let us know and I’ll send you the details. Email info@visitoasis.org. This FALL is an exciting time at Oasis Church and it’s also a very draining time for all of us living in South Florida. It seems like the clean up from Irma will never end and for some, it hasn’t even begun. After a month, our neighborhood hasn’t been touched by our city. But in the big scheme of things, we are most fortunate to have been spared. We need to keep reminding ourselves of this when we tend to want to complain about some of the inconveniences. Because the storms for the most part missed us, we also have the opportunity to serve others who were not so fortunate. By now you know there were many islands slammed and some demolished. Our Keys were damaged heavily and many small cities in South West Florida are hurting with very little attention. Tonia is serving the people of Immokalee, which is just west of Lake Okeechobee, about 90 miles from Broward. 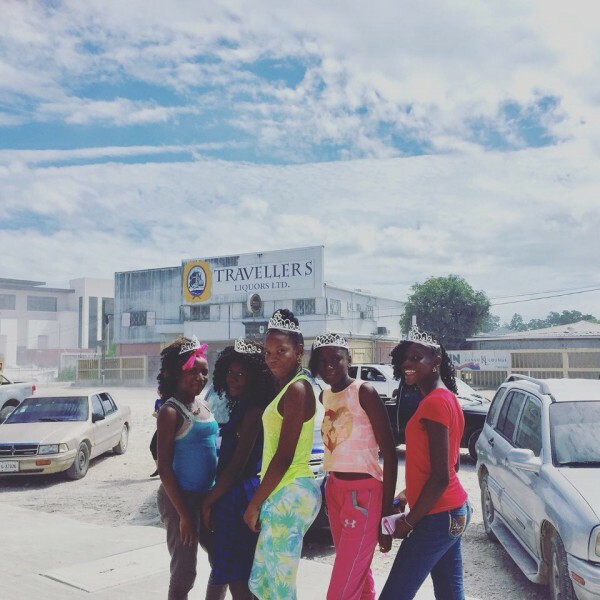 It’s a city of about 30,000, with 97 percent being Hispanic or Haitian and only 3 percent Caucasian. Most are immigrants working in the agricultural area. I dare say that most of our church family has never heard of Immokalee and if you have, I bet only a few have ever seen it. I got a chance to visit there this week and it’s sad how little help and attention they have received. 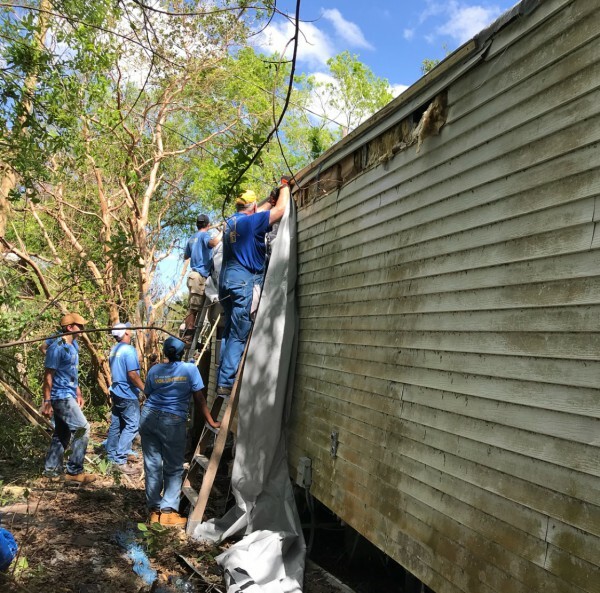 But I am thankful for the North American Mission Board (NAMB) who has multiple crews there from around the US and this week alone, 72 volunteers like my wife from churches in TX, TN, DE, MD, SC and NY and those are just the ones I met. 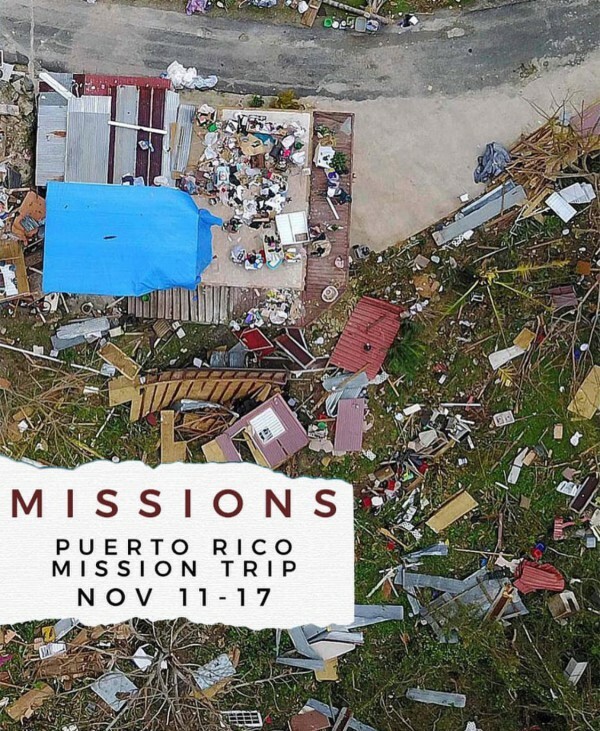 This week our Missions Ministry Team, under the leadership of Pastor Jonathan Jimenez, announced a trip to Puerto Rico on November 11th alongside (NAMB) and also a trip to the Keys to help with clean up on October 28th. It’s an all-day trip, that will leave early in the morning and come back late Saturday night. There is not much space left but while spots remain for both, I encourage you to go to THESE LINKS and sign up. 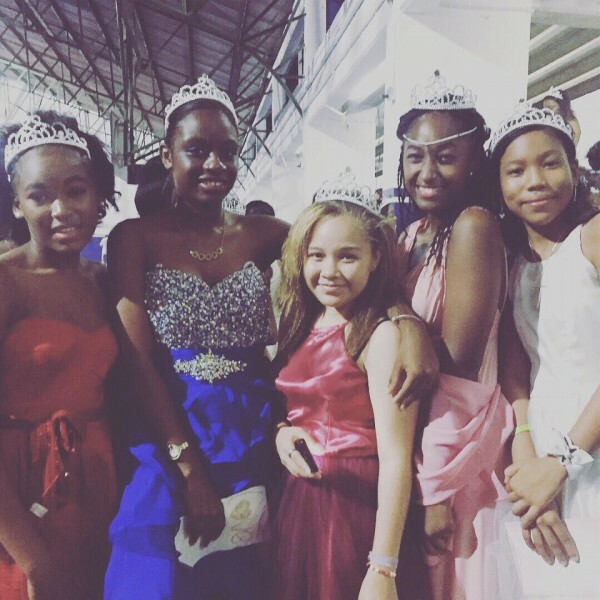 Tiaras Mission Team returned home safely Tuesday night from an incredible trip to Belize to crown hundreds of girls as the Princesses of the King they are. You will hear more about this trip this coming week from Lily and her team. We are so blessed to be able to partner with the Tiaras and Legacy Ministries that Ricky and Lily lead. 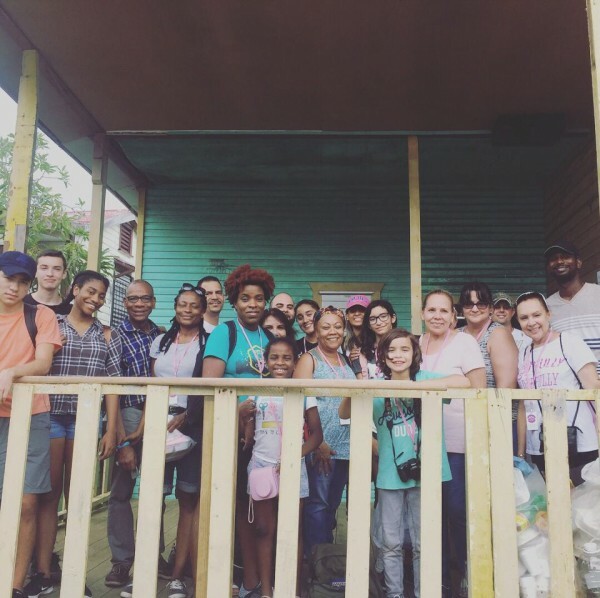 As the Tiaras Team returned from Belize, Keith and Yami left Wednesday to lead a team in Honduras on mission, building houses and serving the little mountain churches there. I am so proud of them. If you haven’t picked up on it yet, I think God has “proclaimed” FALL 2017 as the fall of Missions with Oasis. We are also working on trips this fall to all the islands hardest hit by this Summer’s hurricanes. More to come on that. If you are interested in a particular island and want to be notified if and when we go, please email missions@visitoasis.org and let Jonathan and the team know. "Experiencing God" continues this week. I know God orchestrated this series for this specific season in the life of you and I as well as Oasis Church. This week I’m bringing the message on Reality #6, “Adjusting our lives to where God is working.” I would say adjustment is 100% of what we are having to do right now as a church and ministry as God has opened up so many doors for us to love and “be the drop”. We can’t meet every need but we can be the drop for one! I look forward to seeing you this weekend. Check out our 6pm Saturday Night Service if you have not yet been to this one. It’s growing and there’re some special family events that the ones on Sunday don’t have. See you then. P.S. To continue to give to the Hurricane relief efforts and to give your tithes and offerings, you can bring it this weekend or go online anytime 24/7 and give back to the Lord. We are grateful God allows us to be His conduit from your giving to a hurting community and world. Love you guys. To discontinue receiving these emails send an email to info@visitoasis.org. 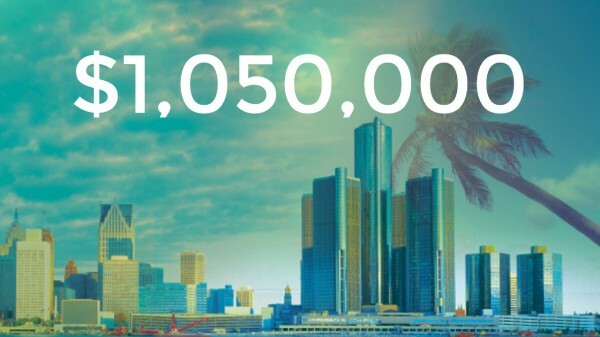 Over $1 Million Dollars pledged to Love Cities, Love Pastors Missions Outreach last week. How can you put what happened into words? I’m not sure how I can but I’ll try to just give you some of the highlights. 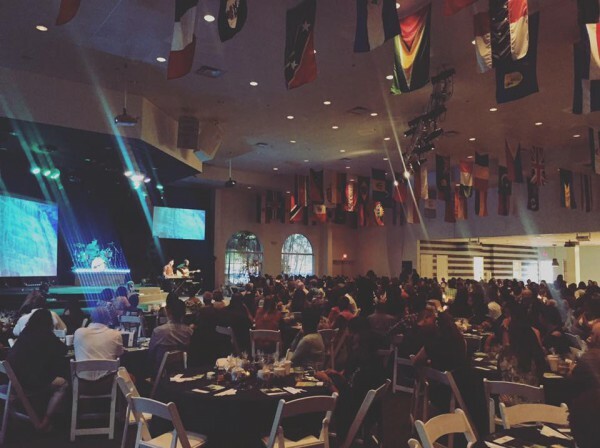 If you missed the Celebration Dinner on Wednesday night, words can’t really do justice. If you missed the weekend services when our pledges kept climbing in each service and “tears were flowing freely" like I’ve never seen before, then I am not sure I can really paint the picture. But here are some highlights. 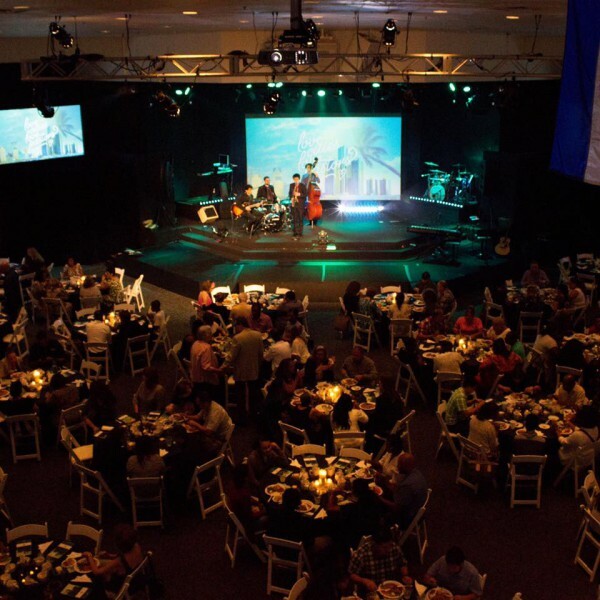 "Love Cities, Love Pastors Celebration Dinner." Last Wednesday night after almost 600 adults, teens and children signed up for the dinner, most of them showed up to pack our auditorium and cafe. It was an amazing sight. Most were blown away by the beauty of the room and the decorations our staff and volunteers had prepared for such a special occasion (hopefully in the future we can figure out how to accommodate more of our Oasis family since we had to shut down registrations when we filled our building). The night began with a beautiful meal and a "jazz combo" playing as we ate, but that was just the beginning. After an incredible 15-minute video of all that God has done through you, Oasis, over the last 3 years as you have given to LCLP, we could have just gone home. Hundreds, if not thousands, have been touched and changed through your giving. Following the video Pastor Daryl Gaddy, our partner in Detroit, brought an inspiring challenge to us to continue the work that God has started. He also brought us up to date with the new Missions Center we are helping him to complete in Detroit. You can watch the video from last weekend here! It’s incredible. The highlight of the night was when the pledges came in and they far surpassed the goal for the dinner of $500,000 for Love Cities, Love Pastors outreach over the next 3 years. 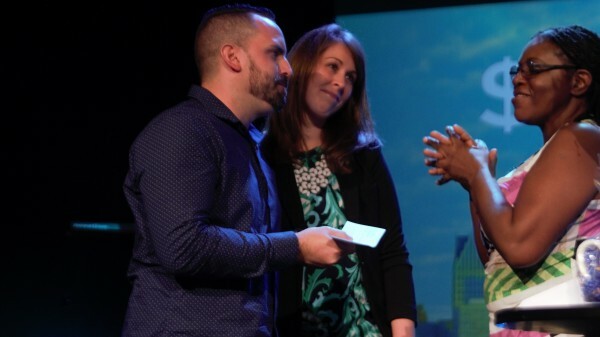 Because of this we were able to present Pastor Tommy and Kristin Parke a check for $10,000 towards their new church plant, City Church, in Miami. We also presented Pastor Daryl with a $10,000 gift towards completing the Missions Center his church is establishing in inner city Detroit. Those were amazing moments. The night ended with a reminder to keep praying and giving and a thank you gift "mug" to everyone in attendance. By the way, if you have your mug and you’re using it take a picture and post your “Mug Shot" on social media, hashtag it #lclpmugshot and we will share it. Love seeing them. Keep posting. The LCLP Weekend was one of the highlights of our almost 26 years on this little corner. Service after service, as we shared the LCLP vision for the next 3 years with those who had not been at the dinner, we continued to add to the pledge totals for local and US missions and church planting over the next 3 years. 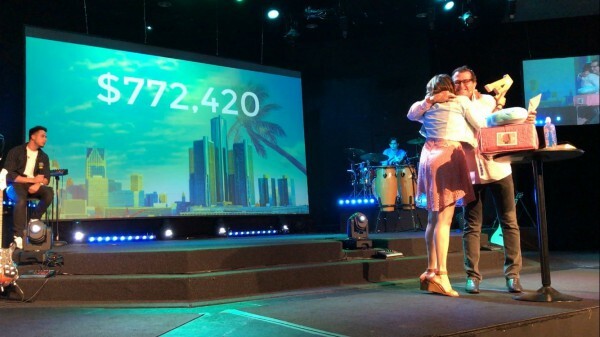 During the 9am service we went over the $750, 000 pledge mark and we were able to present Lily Garcia, our Executive Director of Community and Leadership Development, another $10,000 check toward the NEW homeless single moms’ home called "Asia's House.” This was probably the most emotional moment of the entire weekend. You will hear more as we continue to give to LCLP and find the home to house homeless moms and their children. 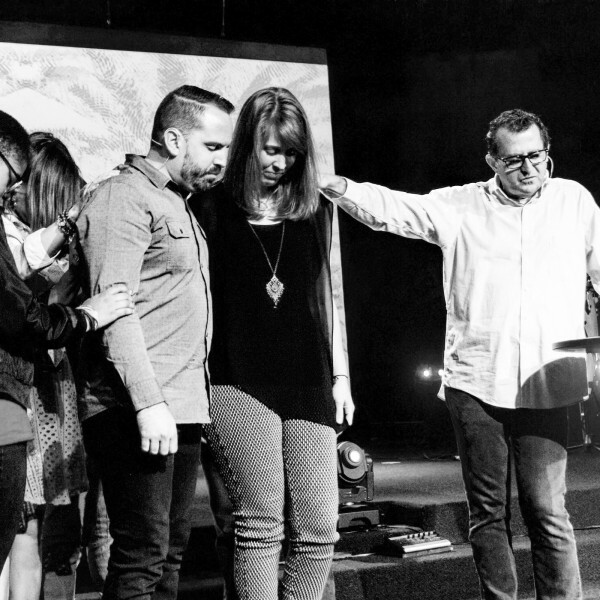 "Tommy and Kristin Parke sent out!” The icing on the cake this past weekend was the ending of our LCLP weekend and service when we had an opportunity to pray over and officially send Pastor Tommy and Kristin out as our church planters to begin a new church next year in the heart of downtown Miami. City Church is now a reality. 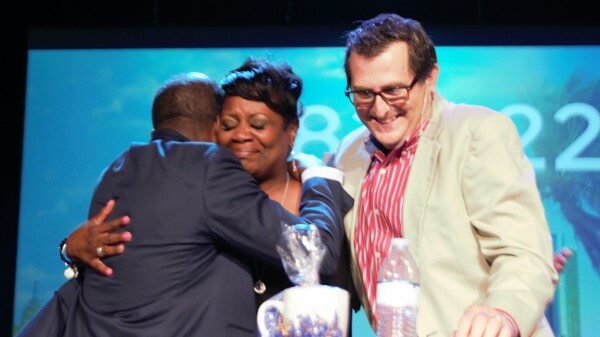 It was so emotional for me since I still remember so vividly how my home church, First Baptist Church of West Hollywood, sent Tonia and I out almost 26 years ago as Pastor Bud McCord spoke the words, "We give you away", the same words I spoke this past weekend. Pray for the Parkes as they spend the next 9 months preparing to birth this new baby church in Miami. Next week I’ll share more about all that our Love Cities, Love Pastors will be supporting over the next 3 years. Your pledges do NOT have to be given all at once. You have 3 years. If you want to give online you can here, when you give the Lord’s tithes, and if you would like to pledge online you can also do that by just clicking HERE! Pastor Jeremy Higdon will be speaking this weekend. We’ll be welcoming one of our former staff pastors and church planters back to Oasis this weekend. Don’t miss it. 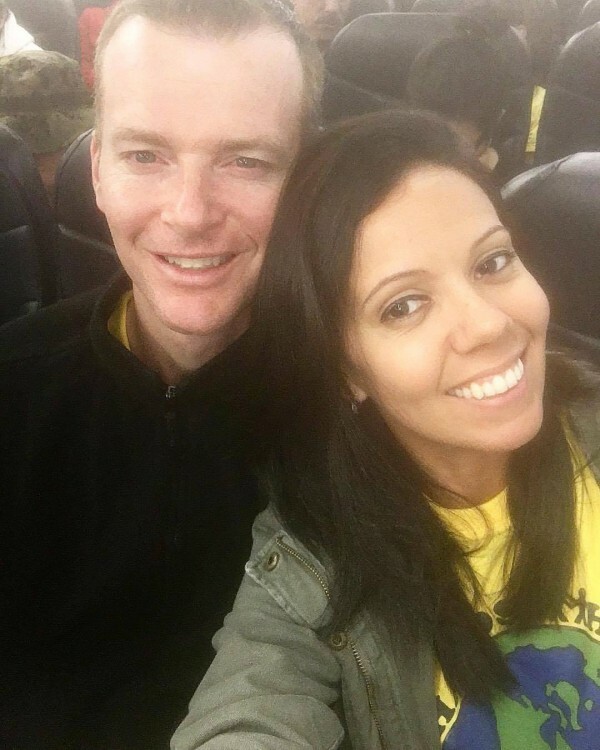 God has used Jeremy and Jeannine in a huge way in Jacksonville since we sent them out 7 years ago, and he will give us an update of all God is and has done there because of your faithfulness and giving to that new church 7 years ago. Love you guys and see you this weekend. PS. When you give the Lord His tithes and your Bike for Haiti, Missions and Love Cities, Love Pastors offerings, you can always do it here ONLINE or bring it to the service you attend. Thanks Oasis for being so generous and giving to those who have far greater needs than we do. Unfortunately, I’m writing you to inform you that after much deliberation, prayer and fasting I am resigning from my position as Student Pastor of the Oasis Church. I have been working closely with Pastor Ricky and we have agreed that August 31st will be my last day of employment. Thank you very much for the opportunities for professional and personal development that you have provided me during the last three years. As I write this letter tears weld up in my eyes to think about the amazing graces that you have afforded me and my family during some of the most trying times of our lives. C.S. Lewis once said, “We can ignore even pleasure. But pain insists upon being attended to. God whispers to us in our pleasures, speaks in our conscience, but shouts in our pains: it is his megaphone to rouse a deaf world.” The last 3 years have felt like God was a camp counselor, Benjamin’s passing, flooded house, mother passing, Father’s brain aneurysm, Silas hospitalized, Aaren experiencing kidney failure, ankle injuries, and knee injuries. Through all the pain and tears you have continued to impart wisdom and love. The Oasis family is such a great reflection of their leader, because as you continued to pour down encouragement, so did they! All the love that the Oasis family has shown throughout the years has made this decision even more difficult. Who knew that a Mexican’s second language would be Patwa instead of Spanish? I can never thank you enough for allowing me the opportunity to be apart of Oasis Church. Thank you for the long talks in your office, thank you for the messages of encouragement and the moments of challenges. Your humility is bar none, your life is an incredible example and I’m beyond grateful to have had the chance to serve under your leadership. My only prayer is that I may have been a small blessing during time at Oasis church. Back in 2013 when my husband asked me what I thought about moving to Florida, I laughed and said "Ha No" I didn't want to leave my comfort spot of life. But in the last 3 years what I didn't know was that here at Oasis I would find healing in ways I didn't know I needed. I would come to terms that I was broken in ways that I didn't even realize. I made life long friends that have forever impacted my life. God placed a calling in my heart that I shut the door to a long time ago. I found a church home and family that I never had before. 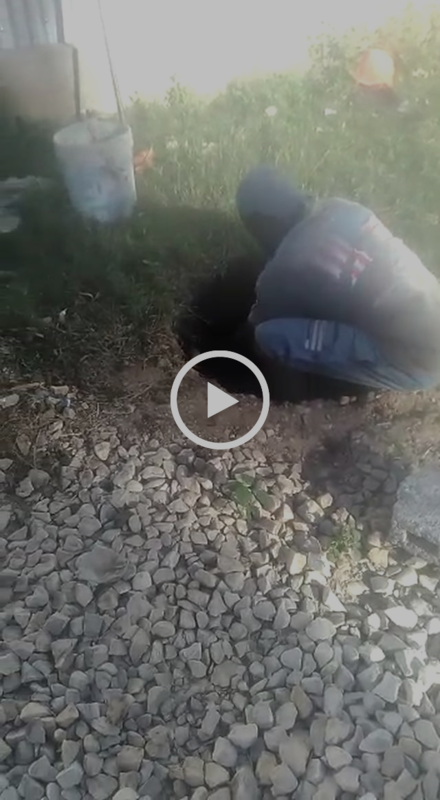 Through the years I watched my 5 year old fall in and understand Jesus. During the hardest times of Silas short little life he was always surrounded by people who loved him. I believe it was the love and prayers of everyone here that has brought him this far. Never would I have imagine the conversation would come up again. But when the topic did came back up from my husband "How would you feel about moving back home" to my husbands surprised I said "ha NO" but through a lot of prayer ,consul and fasting we have decided as a family that the next session of life would be best spent at home with family. As you know Silas took us by surprise and we underestimated everything that would come with that. As a mom I knew in my heart it was a new session of staying at home. So With a heavy but trusting heart I am resigning from my position as the Pre-School director at Oasis Church. Effective August 31st, 2017. Oasis has been a bigger drop to me and my family than we could have ever been to oasis. We are forever grateful for the drop Oasis has been in our lives and hearts. Every leader that God has placed before has forever molded me into a better person. Pastor Guy and Tonia blew my mind when coming here. The way you lead with love before anything else is unreal. You have taught me more with the way you love on people than anything else. There is never going to be another Guy and Tonia. I know at the end of the day we're are all still apart of the same kingdom but not being apart of the same house will be hard to get through. I pray as much as Oasis was a blessing in my life and my family's life I was the same.